The world needs more Canadian content. Music From Canada is home to some of the world's best music composers. Mayfair's Music From Canada was created to bring some of that music to you - wherever you are. Browse our online store or read about our composers. And don't forget to check back regularly for great online and in person events, not to mention future releases of books! Publisher and headquarters of the Leila Fletcher Piano Course! Music From Canada is pleased to announce this special offer on the Leila Fletcher Adult Method Books 1 & 2 (LF007/LF008). For the time being these books are now being offered for a combined price of only $29.95 when you order both. That means you save $3.85 on this indispensable series! We are also pleased to announce that these books are now coil bound for easier use! Check out this great deal now!! 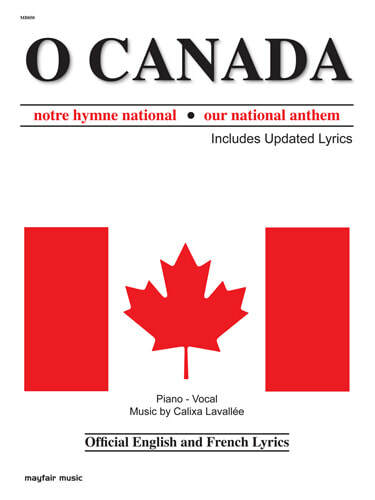 Mayfair Music is pleased to offer updated editions of our sheet music for O Canada. These reflect the recent change to gender-neutral lyrics in February 2018.